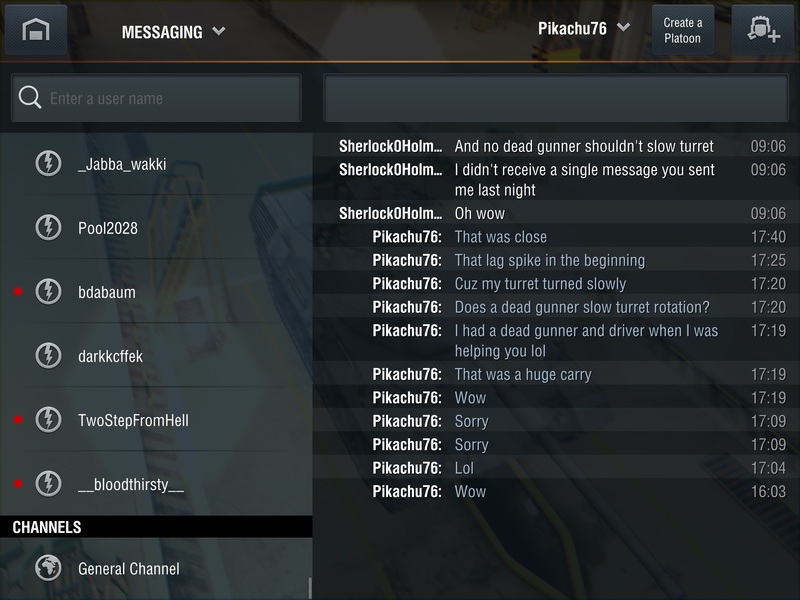 while platooning with someone, I tried talking to him over pm for the hour or so we tooned. I Was really confused because Id say thinks and get no reply. Well, when I woke up this morning, I had 11 pms from him all from last night. Also, as I write this, all of the forum editing tools are blanked out lol guess we'll see if forum works with html. Wow... That's why you weren't responding? Same problems here,happens to me all the time now, wth? probably why. Any tank with a 4 man crew (most high tier meds) will have decreased turret rotation with a dead gunner. Wait Wot? I never knew that, is there somewhere where that info is published for the average scrub tanker like me to read? My dream in World of Tanks Blitz would be that I could send messages to my team, but I would be unable to receive their (usually stupid) responses. I would buy a premium account if it guaranteed me the "bug" you are unhappy with.